We are so glad you took the time to visit New Life! We are committed to impacting the area we live in with the good news of Jesus Christ. It is our hope to make a lasting impression upon the face of our community. If you are looking for a place where you will be encouraged, trained and equipped to live out your beyond the four walls of the church then join us Sunday morning at 8:00 and 10:00 A.M. for our morning worship service. We are so glad you found us and hope you will come visit us soon. God is doing a new work here to build His Church in Marathon and the Florida Keys! Whether you are just in Marathon for a visit, just moved here recently or have lived in the area a long time and are looking for a church home we would love to meet you and hope you will choose to help us build this church. The statement of faith does not exhaust the extent of our beliefs. The Bible itself, as the inspired and infallible Word of God that speaks with final authority concerning truth, morality, and the proper conduct of mankind, is the sole and final source of all that we believe. WHO: a group of like-minded people in the Keys who want to proclaim and share the Gospel of Jesus Christ in word and deed. We are part of the ECO Presbyterian denomination (for more information please click here ECO-Pres) WHAT: A Presbyterian Church in the Keys with Scottish name [defined below]. It`s just a name, we are not all Scottish, just a bunch of nice folks in the Keys who enjoy worshiping in a warm, caring place. Welcome to our parish and this website. It is my pleasure to invite you to grow with us, pray with us and live the sacramental life of the church as followers of Jesus Christ here at San Pablo Catholic Church. This parish family of San Pablo is a beautiful example of what is a parish community in the 21st Century. Our parish is a living body that believes, lives and celebrates the Mystery of the Passion, Death and Resurrection of Christ. Our parish is becoming a multilinguistic community. We celebrate in English and soon in Spanish, the Holy Sacrament of the Eucharist and other sacraments. In essences, our parish is Eucharistic and missionary. We are born from the Eucharist, we live for the Eucharist and we are sent forth by the Eucharist. Canon 211 of the Code of Canon law emphatically states: "All the Christian faithful have the duty and right to work so that the divine message of salvation more and more reaches all people in every age and in every land." So we are sent from the Eucharist to go and proclaim the good news to all. The Church of God believes the whole Bible to be completely and equally inspired and that it is the written Word of God. The Church of God has adopted the following Declaration of Faith as its standard and official expression of its doctrine. We Believe: In the verbal inspiration of the Bible. In one God eternally existing in three persons; namely, the Father, Son, and Holy Ghost. That Jesus Christ is the only begotten Son of the Father, conceived of the Holy Ghost, and born of the Virgin Mary. That Jesus was crucified, buried, and raised from the dead. That He ascended to heaven and is today at the right hand of the Father as the Intercessor. That all have sinned and come short of the glory of God and that repentance is commanded of God for all and necessary for forgiveness of sins. That justification, regeneration, and the new birth are wrought by faith in the blood of Jesus Christ. In sanctification subsequent to the new birth, through faith in the blood of Christ; through the Word, and by the Holy Ghost. Holiness to be God`s standard of living for His people. In the baptism with the Holy Ghost subsequent to a clean heart. In speaking with other tongues as the Spirit gives utterance and that it is the initial evidence of the baptism of the Holy Ghost. In water baptism by immersion, and all who repent should be baptized in the name of the Father, and of the Son, and of the Holy Ghost. Divine healing is provided for all in the atonement. In the Lord`s Supper and washing of the saints` feet. In the premillennial second coming of Jesus. First, to resurrect the righteous dead and to catch away the living saints to Him in the air. Second, to reign on the earth a thousand years. In the bodily resurrection; eternal life for the righteous, and eternal punishment for the wicked. " 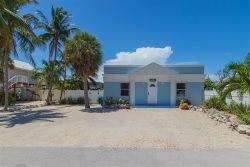 The Marathon Church of Christ has been spreading the gospel to Florida Keys residents and vacationing visitors since the 1950`s. Additionally, we are blessed with numerous seasonal visitors who make Marathon their home for the winter months. While we may come from many different places, we join each other to praise God in worship and to study his word when we assemble here in Marathon. Come as you are and be part of the family in Marathon for a day or for a life time. The Seventh-day Adventist Church is a mainstream Protestant church with approximately 19 million members worldwide, including more than one million members in North America. The Seventh-day Adventist Church seeks to enhance quality of life for people everywhere and to let people know that Jesus is coming again soon. Adventists believe a Trinity of three persons-the Father, the Son, and the Holy Spirit-make up one God. They made salvation possible when Jesus, the Son, came to earth as a baby in Bethlehem and lived a sinless life in accordance with the Father`s will. When Jesus was crucified for the sins of the people of the world and arose from the dead on the third day, victory was won for everyone.When He returned to heaven following the resurrection, Jesus left the Holy Spirit to serve as our Comforter and Counselor. He promised to return to earth a second time to complete His plan of salvation and take His people to heaven. Adventists are among the believers who look forward to that day. Adventists believe that God is concerned with the quality of human life, and that everything-the way we live, eat, speak, think, treat each other, and care for the world around us-is part of His plan. Our families, our children, our jobs, our talents, our money, and our time are all important to Him. WE, THE FIRST PRESIDENCY and the Council of the Twelve Apostles of The Church of Jesus Christ of Latter-day Saints, solemnly proclaim that marriage between a man and a woman is ordained of God and that the family is central to the Creators plan for the eternal destiny of His children. ALL HUMAN BEINGS--male and female--are created in the image of God. Each is a beloved spirit son or daughter of heavenly parents, and, as such, each has a divine nature and destiny. Gender is an essential characteristic of individual premortal, mortal, and eternal identity and purpose. IN THE PREMORTAL REALM, spirit sons and daughters knew and worshipped God as their Eternal Father and accepted His plan by which His children could obtain a physical body and gain earthly experience to progress toward perfection and ultimately realize their divine destiny as heirs of eternal life. The divine plan of happiness enables family relationships to be perpetuated beyond the grave. Sacred ordinances and covenants available in holy temples make it possible for individuals to return to the presence of God and for families to be united eternally. We come from hundreds of ethnic and language backgrounds, yet we are united by common goals. Above all, we want to honor Jehovah, the God of the Bible and the Creator of all things. We do our best to imitate Jesus Christ and are proud to be called Christians. Each of us regularly spends time helping people learn about the Bible and God`s Kingdom. Because we witness, or talk, about Jehovah God and his Kingdom, we are known as Jehovah`s Witnesses.